2014, I will OWN you! The ringing in of a new year forces us to think about what we’ve achieved in the past twelve months — and how we can do things a bit better this time around. After the fireworks die down and the champagne stops bubbling, we sit down and make those dreaded…you guessed it: New Year’s Resolutions. The funny thing about resolutions, though? Their success could be determined by a simple coin flip! That’s right, less than half of us will actually stick to our resolutions — and that means half of our author friends will end the year no better where they started, which makes us mega-sad. But why does this happen? Motivation + [Focus] = WIN! That’s right, Focus. Motivation without focus is like deciding to go on a road trip, but accidentally leaving the map and smartphone at home. You might eventually reach something really cool, like the Jimmy Carter Peanut Statue…but, without a plan, you’re likely to turn around after an hour or so when your trip starts feeling like a waste of time and gas. Let’s be real: choosing where to focus your marketing attention is hard. Wouldn’t it be nice if someone just told you what you should do to promote our work? Note: These projects could each take you a day, a week, a month or they could take you all year. But, complete each one (at your own pace) and your author career *will* be better off when the clock strikes 2015! To get to know the readers who will love your books and how best to reach them, using something like a character profile. Once you have a clear idea of who your readers are, finding them and engaging them is wayyy less challenging! Find a mega-fan or enthusiastic reader (the more dedicated, the better) and grill them about why they like your work, where they found your book and where else they hang out online (and off). Be sure to write down their responses! Download our Reader Profile (PDF) and use it interview that dedicated reader. If you don’t yet have any readers, fill it out as you imagine your biggest fan would. I know it sounds scary, but trust me: you can’t do this wrong! What you’re really doing in this step is giving your marketing the gift of focus, which, as we talked about with resolutions, is a fabulous thing! To create a “home base” (a website) where readers can find information about you, your work and how to connect with you. Give you one place to house everything someone could be looking for about you and your work. Plus, if your website runs on WordPress (or another content management system), it allows you to make updates whenever you want — easy as pie! Decide on a budget. Booooring, but necessary. If you can handle $20 a month, check out OutstandingSetup for an all-in-one easy-peasy web hosting solution. Pairing it with the fab Authorlicious theme makes it even better! If Free is more your speed, try out Weebly or WordPress.com, but note that you won’t have as many options in terms of customization. Create your content. Lucky you — I totally made a checklist for this awhile back (PDF)! At a minimum, your website should have the following pages: About the Author, Books (including links to purchase on Amazon!) and Contact (with your email address or a contact form for less spam). Go social. Link to any social networks you use (Twitter, Facebook, GoodReads, etc.) in your website’s sidebar (that spot to the right of your content with all the extra stuff in it) or on your contact page. Build your following. This step is optional, but highly recommended. Add a mailing list, blog or both to your website for a way to directly interact with your fans (that isn’t subject to the daily-changing whims of something like Facebook’s crazy “I will show your posts to NO ONE!” algorithm). To create a plan allowing you to release a new piece of work (novel, novella, vignette) before the end of the year. With few exceptions, folks who write more books make more money. Plus, if you hate the idea of marketing and have the basics in place (Project #1 and #2 above), you’re free to spend the rest of 2014 doing what you love: writing. Sometimes, those extra books are your best marketing tool! Grab a calendar, writing utensil, journal or blank Word document — whatever you use to plan! Choose one project to release before the end of this year. Remember, it doesn’t have to be a full-length novel. In this age of eBooks, consider something shorter like a novella or series of vignettes — much easier to tackle, right? You could even use this project to introduce characters or settings you plan to use in a full-length work down the road. Figure out a release date for your new project and work backwards to set other important milestones: finish first draft, complete revisions, send to editor, contact designer, etc. Bonus Project: Take a Weekend Marketing Bootcamp! Are you the kind of person who loves those makeover shows on TV (RIP, What Not to Wear)? Or maybe you just love the idea of forgetting everything you think you know about book promotion and starting from scratch? If you can’t imagine how you’ll fit in book marketing among writing, sleeping, working and everything else you do everyday, check out the totally-free Weekend Book Marketing Makeover. In just two days, we’ll guide you through creating a marketing plan you will stick to — because you’ll actually LOVE it! What’s your resolution for 2014? 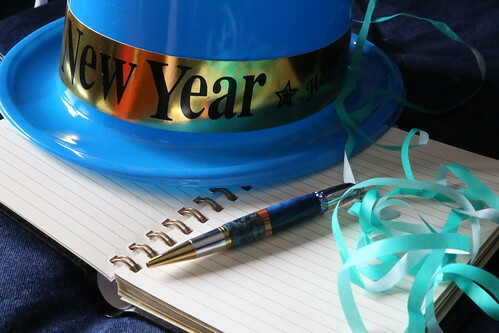 We make fun of them, but I know you’ve set some of your own: what are your author resolutions for this year? Will you tackle any of the projects above? Let me know in the comments! I kinda sorta came up with a similar resolution but could not communicate it as clearly. Thanks for just the right amount of detail and the information under #2 is priceless! Woo-hoo! Thank you for the compliment, KD Good luck tackling that author abode. These are really fantastic projects to undertake (if you haven’t already done so. I’m definitely going to take on the reader profile! Thanks for the PDF! There’s nothing wrong with a bit of ambition! Making *any* progress is always better than none, right? extent. We all love money saving and this is the best way to do it. best drinks that, in addition to being thirsty, has a lot of humans. for the body Very useful.